Fifteen former athletes inducted into the JSU Sports Hall of Fame declared that hard work pays off. 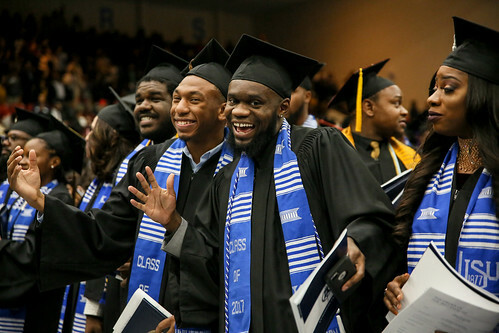 About 350 gathered inside the Student Center ballroom on the main campus to hear honorees proclaim praise to God, family and Jackson State University for helping them persevere toward excellence. “This is one of my crowning achievements,” said Dr. Tamika Bradley, a former track- and-field star who walked onto the team. She earned the indoor long-jump championship in 1996 in the Southwestern Athletic Conference. Honoree Samuel Jefferson was the sports information director (SID) during the Walter Payton era. He referred to his induction as “indescribable.” Everyone in his family, including his mother, attended JSU. Jefferson graduated in 1968 and eventually would serve 29 years in his professional role. He was named SWAC’s SID of the Year nine times.